The right feedback at the right time can change not just a book but our whole writing career. This 1-page flowchart walks you through the 7 Phases of Feedback — all the way from concept development to published book. When should I engage beta readers for the best results? And what should I ask them to do? What do the different phases of editing mean… from developmental and copy editing through to proofreading? Which self-editing tasks should I do early in my writing, and which ones are best saved till the end? This flowchart has been one of the most popular items at my writers’ workshops over the past couple of years, which is why I decided to make it available to you. The flowchart appears in Chapter 5 of the BETA READER SUPERHERO WRITER’S HANDBOOK – but it’s quite small, so this one is easier to read! The file is a printable PDF – 71kb. When you enter your email address below to download the flowchart, you will also be signed up to my mailing list to help us keep in touch. Expect to receive a couple of blog posts per month, and occasional notifications for other useful things such as courses or workshops. 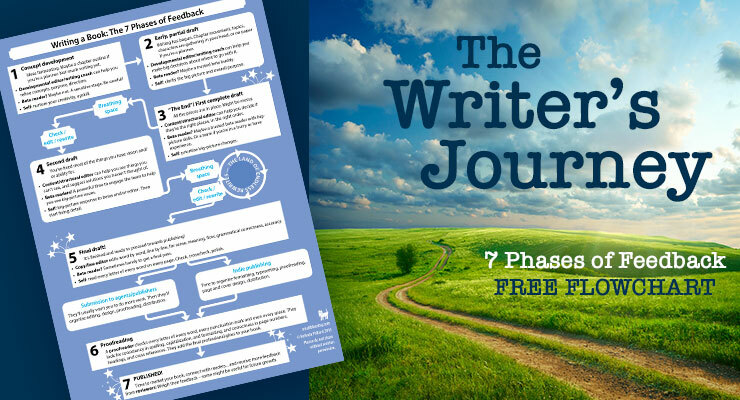 Enter your email address to download the flowchart The 7 Phases of Feedback, and to subscribe to receive emails about useful writing and publishing articles and resources.